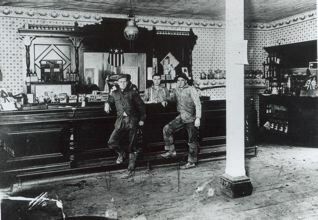 But by 1898, what had been dubbed “the Pebble Beach War” was over and the beach was open to everyone–and now that the air had cleared, Half Moon Bay sent some of its concerned citizens on a special mission to see how the Pescaderans had weathered the nasty affair. What they found, they said, was a tense former “war” zone. The special interest group from Half Moon Bay included Roma Jackson, the Coast Advocate newspaper’s reporter/editor/publisher. Roma never missed an opportunity to exploit a juicy quarrel brewing between the two rivalrous Coastside towns. Anyone could have predicted that the visit would turn into a nightmare. As usual, the contingent from Half Moon Bay criticized, tsk, tsk, tsk-ed and ridiculed their sister villagers. They could never do anything right. Finally they zeroed in on a deteriorating cemetery fence north of the village–a fence that the Pescaderans later acknowledged as “the disgrace of our cemetery”. But for now they remained tight-lipped–except to leak the news that funds for a brand new fence were to be raised at an upcoming dance organized by the young ladies in town. Privately, the Pescaderans thought the condition of the fence was none of Half Moon Bay’s business. They prided themselves on being independent thinkers who resented Half Moon Bay flexing its muscles so far from home. And here’s the list of neighbors who contributed to the “Soccer Field Fund” in the 1920s– for all of you folks interested in who was then living, working and financially supporting the school district in Pescadero. The names are: J.C. Williamson, E.R. 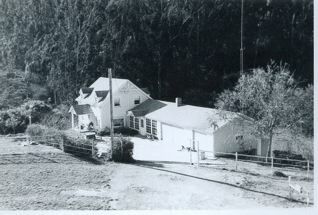 Pinkham, First National Bank of Pescadero, M. Baptist, Pescadero Inn–B.R. 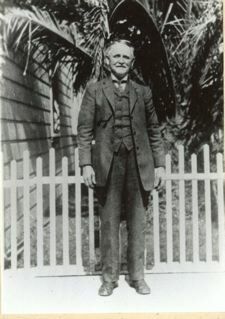 Phillips, Dr. C.V. Thompson, M.V. Martin, Dr. Theo K. Miller, E. Williman, Tony George, J. Goulson, Walter Moore, G.M. Steele, C.E. 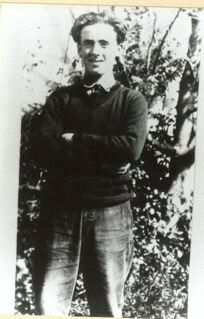 Steele, R.R. Woodman, N.E. Steele, Ida E. Raney, T. Hayashi, T. Anouda, Fain, Joe Francis, Armando Rossi, R. Morello, Z. Nakashima, Mrs. Mary G. McCormick, Marcella H. Kartheiser, Chas. Scott, H. Harada, Frank Quadro, J.F. Steele, F. Steele, Chas. 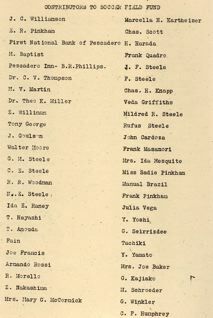 H. Knapp, Veda Griffiths, Mildred R. Steele, Rufus Steele, John Cardoza, Frank Masamori, Mrs. Ida Mesquite, Miss Sadie Pinkham, Manual Brazil, Frank Pinkham, Julia Vega, Y. Yoshi, G. Seirrizdee, Tachiki, Y. Yamato, Mrs. Joe Baker, G. Kajiako, M. Schroeder, G. Winkler, C.F. Humphrey. It was spring 1924 in the tiny village of Pescadero. The cattle grazed peacefully., the brook reflected the clear blue sky and the wild buttercups and daisies competed for attention. At the high school some 20 students and their three teachers reminisced about the field trip the science class took to the Portland Cement Company’s plant at nearby Davenport, a picturesque coastal village nine miles north of Santa Cruz. More than a dozen students and Miss Kartheiser, their instructor, had piled into three cars for the ride to Davenport. The road was narrow and not one automobile was encountered.